What the Supreme Court’s ruling in Salinas v. Texas says, essentially, is that citizens had better know what their rights are and understand when those rights are being violated, because the government is no longer going to be held responsible for informing you of those rights before violating them. Mind you, this is the same court that agreed that cops who tasered a pregnant woman couldn’t be held accountable because they were not aware that repeated electro-shocks qualified as constitutionally excessive and unreasonable force. Dealing a blow to the fundamental right of citizens to remain silent, a 5-4 United States Supreme Court has ruled that persons who are not under arrest must specifically invoke their Fifth Amendment privilege against self-incrimination in order to avoid having their refusal to answer police questions used against them in a subsequent criminal trial. In handing down their decision in Salinas v. Texas, the Court upheld the conviction of Genovevo Salinas, who was found guilty of homicide after prosecutors argued that Salinas’ silence during a police interview prior to his arrest was a “very important piece of evidence” and that only a guilty person would have remained silent when questioned about his connection to a crime. Justice Samuel Alito wrote in the majority opinion that Salinas “was required to assert the privilege in order to benefit from it,” even though a person questioned while under arrest could not have his silence used against him. The case began in 1992, Juan and Hector Garza were found murdered in their apartment. Genovevo Salinas, an acquaintance of the men, was suspected by police as being responsible for the murders. The police approached Salinas at his home and asked him to accompany them to the police station so they could question him and clear his name. Salinas was never handcuffed and was not given Miranda warnings. At the police station, Salinas was taken to an interview room where, during the course of the interview, police questioning became more accusatory, and Salinas was asked whether his father’s shotgun “would match the shells recovered at the scene of the murder.” Salinas remained silent and did not answer the question. The interview proceeded. At the conclusion of the interview, police arrested Salinas for outstanding traffic fines. The district attorney charged Salinas with the murders, but Salinas wasn’t arrested on the murder charge until 2007. During the trial, the prosecutor suggested that Salinas’ silence during the police interview prior to his arrest was a “very important piece of evidence” and that only a guilty person would have remained silent when questioned about his connection to a crime. The jury found Salinas guilty of murder and sentenced him to twenty years in prison. On appeal, Salinas argued that the prosecution’s emphasis on his pre-arrest silence as evidence of his guilt was a violation of the Fifth Amendment’s guarantee against self-incrimination. Two Texas appeals courts ruled that Salinas was not under government compulsion during the time of the police interview, thus he had no Fifth Amendment right to remain silent. In upholding the lower courts’ rulings, the Supreme Court majority asserted that a person claiming the benefit of the Fifth Amendment’s privilege “must claim it” and a person does not normally claim the privilege by remaining silent. In Justice Stephen Breyer’s dissenting opinion, he argued that the fact that Salinas was a suspect in a criminal investigation gave rise to a reasonable conclusion that his silence derived from an exercise of his Fifth Amendment privilege. 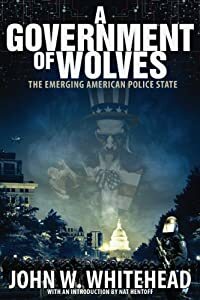 For more on this and other pressing issues relating to the emerging police state in America, read my new book A Government of Wolves: The Emerging American Police State, available now at Amazon.com.